Autumn weather has the Bay’s gamefish acting accordingly, or at least beginning to. If you can avoid what to this angler seems to be a perpetual wind tunnel, you’re likely to have a successful trip. On three outings last week, I found plenty of rockfish in the lower Chester and Eastern Bay in spite of tough conditions. Most rockfish were schoolies, shy of the 19-inch minimum. Out of the wind in the Wye River, we scratched out a better grade. I also found a nice knot of fish off of the Hickory Thickets in 15 to 22 feet of water, but I caught the wrong tide and couldn’t get them to eat. In Maryland’s part of the Bay, waters are cooling down, so you should catch keeper bluefish and rockfish jigging or plugging from Tangier Sound and Choptank River to the Chester and Patapsco rivers. I predict an even better grade of stripers will move into the shallows and hammer topwater and swimming plugs such as X-Raps, MirroLures, and Smack-its in the next few weeks. More fishermen have switched to trolling bucktails and parachutes or swim baits rigged in tandem. ; Spoons on inline sinkers or planers are a good choice. Contrasting heads are catching better. Try channel edges in 25 to 40 feet. Want some bluefish to smoke? Then, do like my buddy and his son did Sunday off of James Island—Anchor over structure (they fished off James Island) and fish with cut bait. They got plenty of tailor bluefishs pushing six pounds. Buoys 83 and 85a have some breaking rockfish and blues. All of the popular spots—Podickory, Love Point, Thomas Point —are holding catfish and white perch along with some blues and rock. Spot are still around, but it’s anyone’s guess for how much longer. Those large cobia and big red drum that were popping up along the MD/VA line are pretty much done. On the coast, head boats report that sea bass are snapping on the wrecks and reefs. Sheepshead, blues, and some flounder are biting at the South Jetty in Ocean City, which is where Captain. Monty Hawkins of the Morning Star sails from. His party caught limits of sea bass Saturday, Sunday and Monday, including doubles of jumbos. Big flounder are harder to come by. Mahi-Mahi were abundant from the weekend through Tuesday. You’ll find them under lobster trap buoys balls at the 100-fathom line. Richard Hammond and friends went six for eight on white marlin at the Washington Canyon the other day, and they boxed four chunky dolphin. I haven’t heard much on tuna. Virginia Beach anglers are catching smoker king mackerel. Oceans East Bait & Tackle checked in a 49-pounder the other day. Some anglers are having success trolling for kings, big Spanish mackerel and even some dolphin at the Chesapeake light tower. Surf and pier anglers are catching the season’s last sheepshead, spot, black drum, croakers, and whiting. Soak fresh mullet for the best results. Gorgeous weather and accommodating gamefish marked the 2018 Red/ Trout Fishing Tournament held this past weekend out of Crisfield. 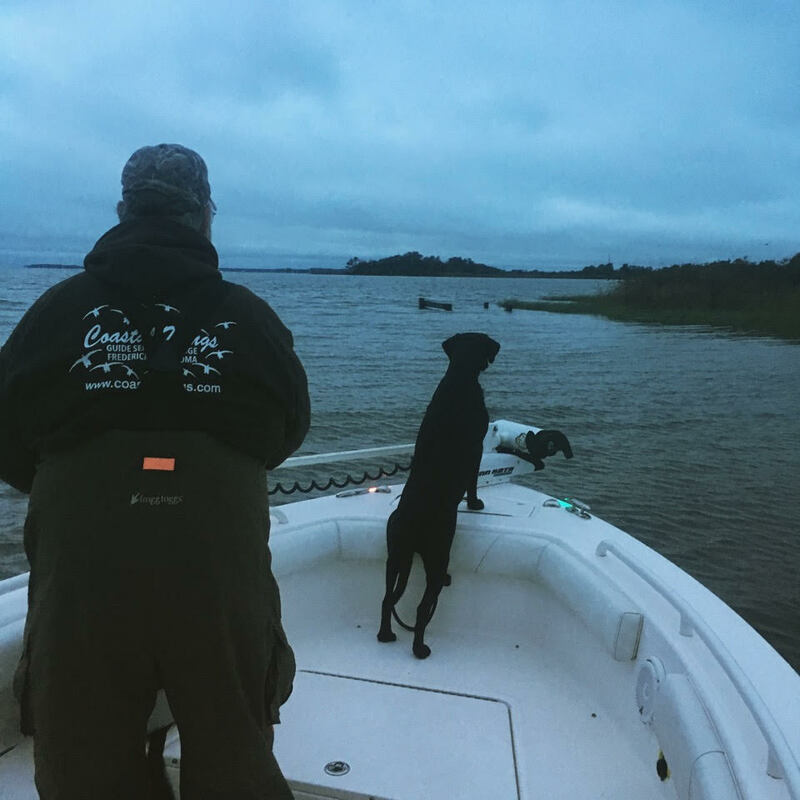 The Maryland Coastal Conservation Association Maryland event, now in its sixth year, draws light tackle, fly, and kayak anglers to Tangier Sound’s fish-rich waters. Doug Greiner earned Top Overall Angler by completing the closest to a complete “Crisfield Slam,” meaning he caught three of the six qualifying gamefish species and had the longest cumulative length of : red drum; spotted sea trout; weakfish, striper, bluefish, and flounder, including a 20 ½-inch striper, a 12-inch bluefish and a 49 3/8-inch redfish. A complete Crisfield Slam would include a redfish, bluefish, spotted sea trout, weakfish and a flounder. Shawn Kimbro’s crew won the team award with three fish totaling 64 inches. Mike Dunlap took the fly loot with three fish totaling 46 7/8 inches. Chesapeake Bay Magazine was on-hand to help judge the event.